Wow, look at this . . . This cover is not absolutely final, but it’s getting there. After being out of print and largely unavailable for several years, four titles come roaring back — led by a brand new story, The Case from Outer Space. Look for them this August, brought to you by the good folks at Feiwel and Friends, an imprint of Macmillan. I’m especially grateful to the classroom teachers and school librarians who have kept these books alive and in the hands of young readers for the past 20 years. 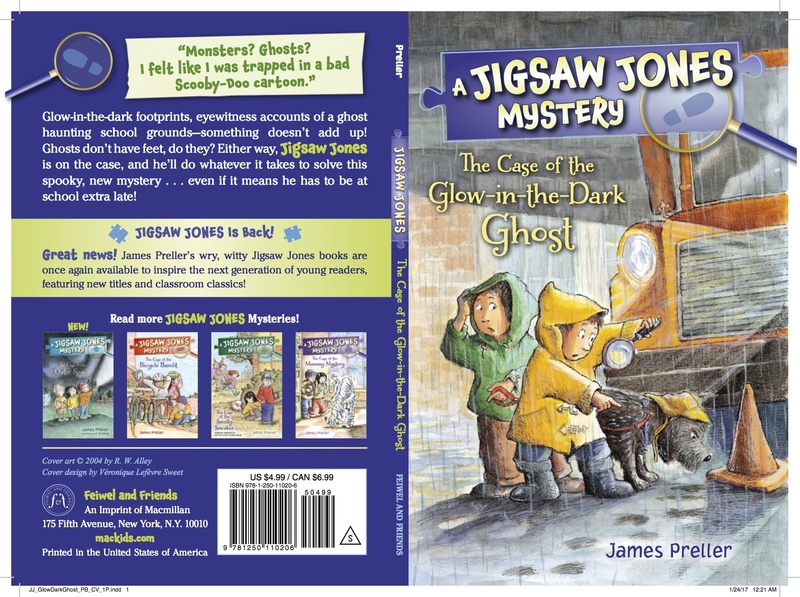 I can’t wait to visit elementary schools and talk Jigsaw, and mysteries, and the love of reading with the early chapter book crowd.